Updating your online profiles should be as fast as the internet. We can shoot, edit and upload your portrait in an hour, at nowhere near the cost of a photo studio. To capitalize on a local historic homes event, we created this ad to run in the local newspaper special insert. General contractors serving the northern Chicago area, known for their attention to detail and their uncanny ability to incorporate existing elements into modernizations, PCC needed a website to match an existing logo and ID. 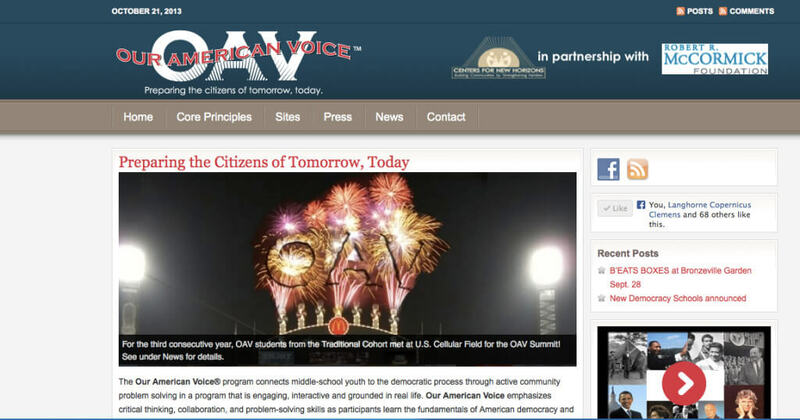 The Our American Voice program teaches 5th through 8th graders about civic engagement through activities and participation. The non-profit had a developer build their site, but there was little content and it was unfocused. When we last worked on this site, we had integrated content pages fully using internal and external links, standardized language, built in co-branding for participating partner organizations, and more. 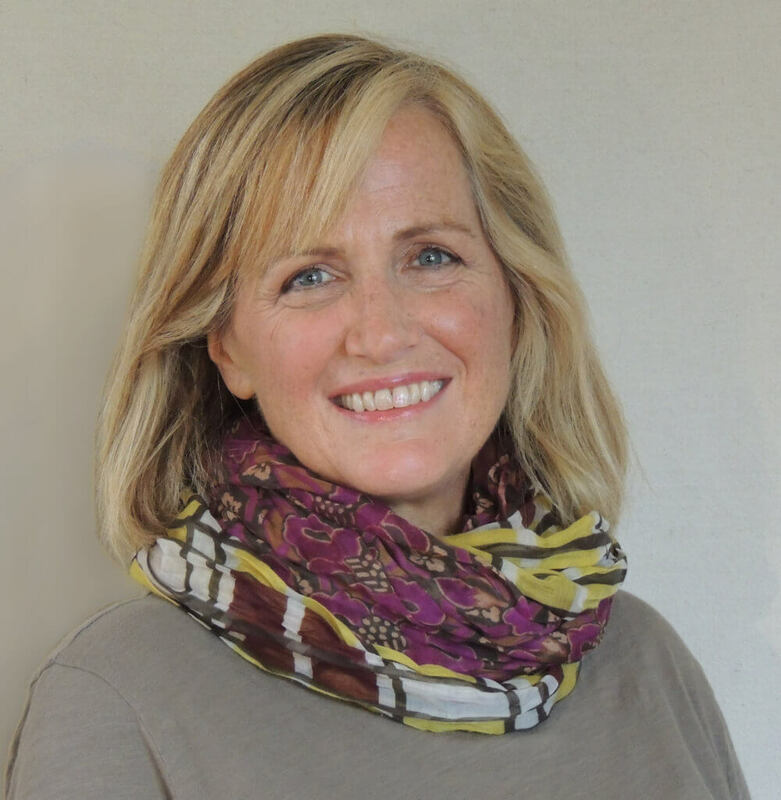 Knit Your Dog offers custom-made items from dog hair, while Doghouse Knits sells off-the-rack items from conventional fibers. 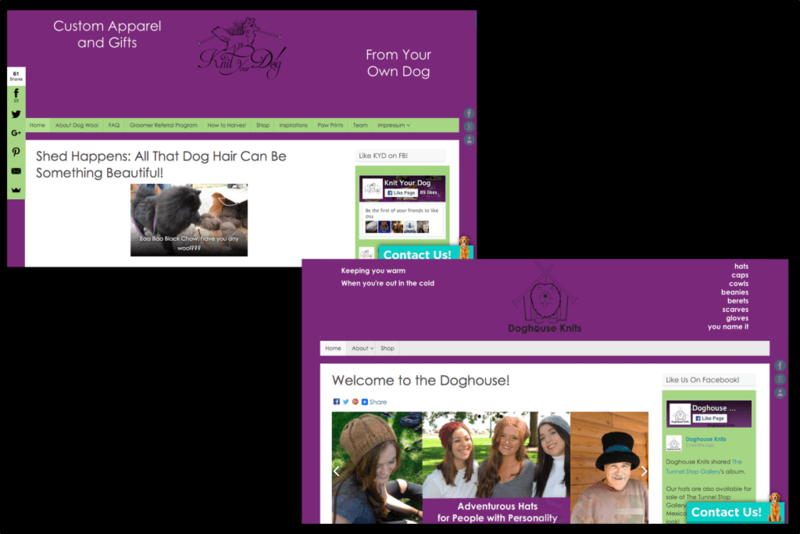 Both sites reflect a common branding appealing to color, friendliness, and affinity for dogs. Both sites also feature easy access to Etsy shops, Facebook feeds, and contact with the owner. MLS has been in business since 2006. When merging their roofing business into their general contracting company, they needed a new site and new identity that retained much of the the information on their old, outdated site. The new site incorporates their Facebook feed and better showcases their expertise in specific areas. Viewers can read testimonials and receive referral contacts; MLS also has several contact options on the site as well. Let’s see what we can do for you. Click on “Let’s Talk” to get started. Copyright © Jeannie Sanke Ph.D., Ltd. All rights reserved.